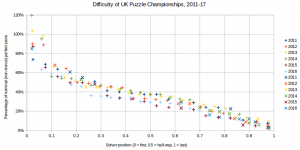 How tough was this year’s UK Puzzle Championship? Notably tougher than usual for strong contenders – indeed, arguably the toughest yet – but only about as tough as usual for the rest of us. It’s tempting to say “There, done” and move on, but the conclusion is an unusual one and worth explaining. As ever, the most important thing is a rousing round of thanks to everyone at the UK Puzzle Association (hereafter UKPA) for putting the championship together year after year, from the puzzle authors (from around the world!) to the test compilers to the system administrators. The small version of the graph isn’t the clearest, but the large version is much more so. This year’s data is represented as a purple line. The purple is unfortunately fairly close in colour to the 2015 brown line, but each year uses a different shape of data marker, and the 2017 data’s marker looks more like a cross than any before it. The other way to recognise the purple line is that it’s almost always at the bottom of the graph. I’m not too worried by this conclusion, as there’s a clear reason why it’s not comparing like with like. Previous UK Puzzle Championships have allowed participants 2½ hours to complete the paper, whereas this year’s championship only permitted participants two hours. While it would seem reasonable to assume that people will have sufficient clue about where their strengths and weaknesses lie to imagine that they would be broadly unlikely to be able to score as many points in the fifth half-hour as in the half-hours before it, I get the impression that had everyone been allowed 25% extra time, scores would have been higher across the board. Maybe not commensurately higher, but probably not far off. This would have put the line in or near the pack, rather than being a low outlier. So I asked why this year’s event was shorter, and the answer is reasonable. There’s no particular reason why the UK Puzzle Championship has to be any particular length, and my gut feeling is that it had previously settled on a 2½ hour duration because the US Puzzle Championship that has run for almost 20 years has traditionally been 2½ hours long. (The very early days may have been longer still – but the very early days were conducted by fax, rather than online.) The longer the test, arguably the closer it comes to replicating the several hours per day of puzzles at the World Championship, and arguably the more accurate a job it does at declaring a champion; the longer the test, the more work there is involved in its creation and operation, and the more off-putting it may be to more marginal participants. It is to be noted and celebrated that there were a record 29 UK participants on the scoreboard this year, with the previous best being 25 in two separate years. It’s also worth noting that there weren’t any UK participants who started the test and then failed to submit a single correct answer; if there’s something to moderate the joy at the UK record of 29, it’s that last year had 25 on the scoreboard plus another five zeroes. Are people who don’t answer even a single puzzle correctly of use or interest to the UK Puzzle Association? Probably not in terms of trying to pick a representative team for a world championship, perhaps more so in terms of creating a contest where people enjoy themselves, no matter how marginal the participant, and then come back year after year and tell their friends about it. Again the thumbnail says little, but the larger version paints a picture. For each of the previous six years, the data from the above chart is replicated but the data points are either pluses or crosses. (There are no lines. I can’t work out how to make the lines do what I want them to, and I can’t work out how I did it last year.) A plus represents a player who came back in at least one successive year; a cross represents a player who has not yet made another appearance. Accordingly, this year’s data is not yet included as we won’t know until 2018, or later, who will return from 2017. There are sporadic crosses towards the top from time to time, but the vast majority of crosses are towards the bottom of the chart. The other way to look at it is that the UKPA does very well at retaining the middle of the pack from year to year! My views are largely the same as last year. I think increasing the number of participants has to be a major goal for the UK Puzzle Association, perhaps close to the most major goal. Noting that, happily, newspapers are more frequently starting to publish a more interesting variety of logic puzzles, I’d be inclined to make sure that there is reasonably heavy representation of deliberately very accessible puzzles every year, both accessible in terms of style and familiarity as well as difficulty. This is part of the reason why I so heavily promote the WPF Grand Prix’s “Paper C” puzzles. Nevertheless, the UKPC remains my favourite online puzzle contest of the year. Thanks again to everyone for keeping it that way! The UK Puzzle Association have published the results to their recent UK Puzzle Championship. Did you take part? Were you happy with your result? If so, congratulations! James McGowan won to pick up his fifth UK championship, so he gets the biggest congratulations of the lot! Adam Bissett earned second place, only the fourth person ever to make it to the top two in the seven years of the contest, and Tom Collyer finished third for the fourth year in a row, missing out on second place by one point. These best British performances were well up there with those of some very accomplished solvers from around the world. For me, the best news is that this year saw nine first-time UK solvers, to take the number of UK solvers putting points on the board up to 29. The previous best was 25, achieved last year and once previously, so this is quite a step in the right direction. There was quality as well as quantity, too! The ordering is hopefully obvious: best position, ties split in favour of most appearances, ties split in favour of second (or subsequent) best position, ties split in favour of oldest better performance. Errors and omissions excepted and corrections are welcome; for cussedness, this chart declines to split places between players on equal scores on the “time left” tie-breaker. Many thanks to everyone who has been involved with setting the puzzles or organising the contest over the years, especially Liane Robinson and Alan O’Donnell, the most frequent contest compiler and administrator. I’m looking forward to finding out who the UK team will be, with invitations going out to top performers both in the in-person UK Open Championship earlier in the year and in the online UK Puzzle Championship just now. The UK Championship may be over, but the Puzzle Grand Prix rolls on; the sixth round takes place on the weekend of 14th-17th July! Accordingly, I’m far from alone in having seen the episode already, but I’m not going to spoil anything before it airs, and will be keeping my thoughts on it to the comments to this post for spoiler-prevention reasons. Whatever you think, I remain convinced the escape room industry in this country as a whole owes a debt of gratitude to the show; while escape rooms have boomed in countries which never had the show or anything like it, it’s a convenient, widely-known point of reference that surely sped the process of public acceptance along. Will the show’s return help the industry further? Remains to be seen – but, at the very least, I don’t see how it can hurt. In other news, the UK Puzzle Championship opens to solvers at noon today; if you want to start your clock for two and a half hours of puzzles, you can find the details at the official contest page! If the in-person puzzle competition highlight of the year is DASH, then the online puzzle competition highlight of the year is the UK Puzzle Championship, as far as I’m concerned. It’s a two-hour contest of language-neutral culture-free logic puzzles and it’s free to enter. This year, there are 27 puzzles in the test, all of different types (as opposed to other years where one style of puzzle features more than once). Some of them are word puzzles, and others are styles you might recognise from some newspapers. Others still might be new to you unless you’ve gone looking for puzzles on the Internet already, or taken part in previous competitions; a few may well still be new to you even if this is far from your first such puzzle contest. The instruction booklet is already available from the official competition page – and, if there were any clarifications, they’d be on the discussion thread on the forum. ((Edited to add:)) James McGowan has collected examples of the types of puzzles used in the contest and posted them to that thread. These examples will probably be more difficult than the ones used in the contest, so don’t worry if you struggle with them! 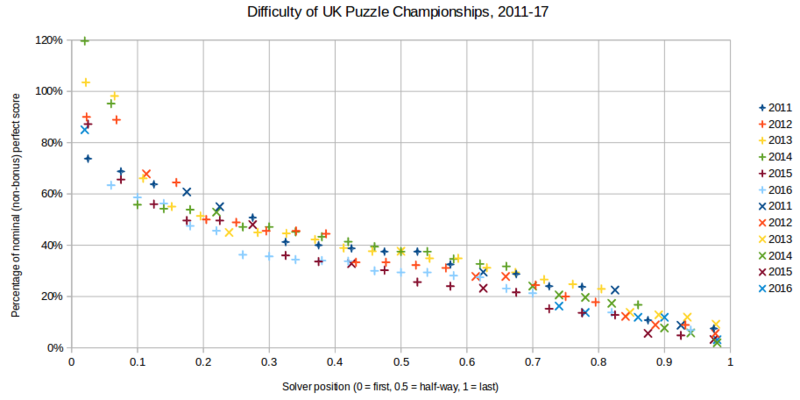 If you finish in the top two places (excluding those who have qualified already at the live event earlier in the year…) among UK solvers then you become eligible to represent the country as part of the national team in the 26th World Puzzle Championship. This year it’ll be taking place in mid-October in Bangalore, in India. The World Sudoku Championship is at the same venue just days before; congratulations to the winner of the recent UK Sudoku Championship, Mark Goodliffe, who’s earned his spot on that team. You can start the two hours that you have to take on the puzzles whenever you like after midday (UK time) on Friday 23rd June, but you must get your responses in by 2am on Tuesday 27th – so Monday evening is the latest time that you can start. You’ll need to register for an account at the UK Puzzle Association site, and download a file with an encrypted version of the puzzles from the contest page. You’ll get the password to open the puzzle file when you choose to start your clock. The reason why I enjoy this contest more than all the others is that there’s always plenty to keep you occupied even if you, like me, are quite a modest puzzle-solver who tends to get put off relatively easily by tougher puzzles. (Traditionally I finish something like fourth or fifth last in the UKPC.) As a rough starting-point, if you score one-third of the possible points, then you’re likely to finish in about the top half of the contest; if you score one-half of the possible points, then you’re likely to finish in about the top third. Unless you have your eye on a national team place, it’s really all about the joy of trying some puzzles of types you might not have seen before. It’s great fun, and a great tradition; it’s my single favourite online contest of the year! Tomorrow’s a big day. 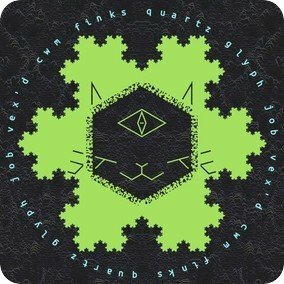 Not only is there the Prison Escape event in Shrewsbury and the start of the CUCaTS puzzle hunt in Cambridge, there’s also the US Puzzle Championship. This is a free-to-enter online puzzle championship, open to everyone around the world. It has a fixed timeslot, which is arguably more convenient for European solvers than its native US ones: 6pm to 8:30pm UK time. During those two and a half hours, score as many points as you can by answering culture-free language-neutral logic puzzles of differing values. Register for an account at the US Puzzle Championship site and you can already download an instruction document containing details of the puzzle styles that will be used and relatively simple examples of the puzzles. It looks like the first half of the test contains a mixture of reasonably familiar puzzle styles and less familiar but closely related styles; the second half of the test contains puzzles that are variants of some familiar styles. It’s bound to be a tough test but huge fun for those who take part. If you don’t want to wait, or if the time slot doesn’t work out, or if you’d prefer a more accessible challenge, this weekend also sees the fifth round of the World Puzzle Federation’s Puzzle Grand Prix. As usual, this free-to-play online puzzle contests, this time set by representatives from the Czech Republic, is now available and will remain so until late Monday night, UK time. During that 84-hour window, you can press the “start the timer” button at a point of your choice; you then have an hour to score as many points as you can by submitting answers to the puzzles from that round. There are three parallel one-hour contests that take place in the same weekend each round, referred to as classes A, B and C. Puzzles in the “Class A” and “Class B” contests are culture-free language-neutral logic puzzles, of which the Class B puzzles may be slightly less exotic; puzzles in the “Class C” contest are “understandable and solvable to a general audience” but are not necessarily language-neutral or culture-free; they might require a little external knowledge, or they might require “you either know it or you don’t” instinct rather than deduction. The precise types of puzzles in each of the three contests for a round are announced a couple of days before it starts, and the instruction booklets with the details have already been published. Take a look at all three booklets – maybe start with the Class C booklet first – and then solve the set, or sets, of puzzles that look the most fun. You can’t give your full attention to all the events going on this weekend, for the ones with fixed timeslots overlap – but, whatever you choose, there’s plenty to enjoy! This will be the sixth consecutive year where the last Saturday of Cambridge’s Easter Term has seen the Cambridge University’s Computing and Technology Society stage an in-person puzzle hunt in town for 24 hours. They don’t make it easy. This is not just in terms of the puzzle hunt itself, but in knowing that it exists; it’s not on the society’s web site, nor is it on their Facebook page, but a well-placed e-mail confirmed that the game was on. The hunt seems to be intended to be played primarily by Cambridge students (though far from just by undergraduates!) and staff, but isn’t restricted to them; teams of up to three must have one person with a local e-mail address, but teams can have outsiders as well. Presumably the hunt has been well-publicised within the university. The cat logo above is being used by this year’s hunt, though the pangram is not around it this year. The FAQ page describes the puzzle hunt as “a team puzzle-solving and treasure-hunting competition. Your team will navigate its way through a mental and sometimes physical obstacle course of challenging and fun computational, mathematical and linguistic puzzles scattered throughout Cambridge, seeking to cut its way through to the goal before everyone else. No preparation is necessary, just come along on the day!” – and that day is Saturday 17th June, with the time being 4pm. The other thing to note is that puzzles from past hunts are available online, and they’re definitely towards the tougher end of the spectrum. While the organisation behind it is not the same one who put on the online Cambridge Puzzle Hunt earlier in the year, it’s not as if there cannot be crossover from society to society – and, indeed, the societies are moderately close in their essential interests. The more puzzle hunts people play, and especially the more puzzle hunts people set puzzles for, the better-calibrated the puzzles are likely to be. I’m on shift this weekend and, frankly, get the impression that these puzzles are likely to be harder than I would enjoy. However, I know there are people in the UK for whom this hunt would be an excellent match, particularly the more technically-minded members of teams who did well at DASH or at online puzzle hunts, and if you come into that category then this may well be the hunt for you. Many thanks to everyone at CUCaTS for putting it on and making it available; it’s surely likely to be spectacular! 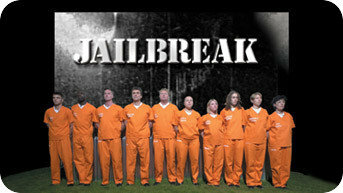 We’ve talked about SCRAP’s many-teams-at-once events, often taking place in hotel ballrooms and the like; more originally, Immersive Events are staging a mass escape game called Prison Escape at the former HM Prison Shrewsbury, known locally as the Dana Gaol, next Saturday and twice more on Saturdays in July and September. In the past I’ve wondered whether sites might host large-scale events, and for my money, this completely fits the bill. It’s much more specifically a large-scale escape than most of the other large-scale events that there have been. The fact that it’s at least nominally a solo event, rather than a team event, makes it only the more intriguing and distinctive. More power to the Immersive Events team, and I’d love to know how it plays out from an escape enthusiast’s perspective! 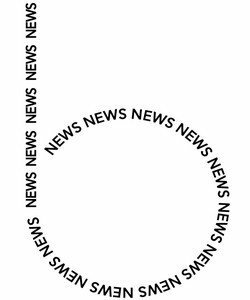 The news goes round and round and round and eventually up, so here are some things you may have seen or may have missed, with links varying from the artistic to the competitive but making interesting steps in between. Many, but far from all, of them come from the not-so-secret secret Escape Room Slack, which has recently reached 300 members. Slack is a real-time chat forum; if you’re old like me, think IRC – or if you’re very old like me, think of a talker. For a 300-member online group, it remains surprisingly overwhelmingly well-mannered and friendly, and highly knowledgeable and often very funny. The volume can be high, but the #uk-general channel is more focused. 1) Here’s a step towards something really exciting… though, perhaps, only a baby step. The Crowne Plaza hotel in Melbourne is now offering a hotel suite complete with its own in-room escape game within, available now and until the end of August. You’re looking to pay more than AU$100 supplement over the cost of a suite without the escape, and the supplement gets you a 45-minute game to play. I’d be prepared to pay a hefty premium for the privilege of staying somewhere with a mystery to spend, say, a long evening diving deeply into, and it’s also true that people will pay considerable convenience fees for goods and services to be delivered to their hotel room rather than going out to a destination – so if there can be room service food, and room service movies, then why not room service escape games? 2) Towards the higher end of what the genre might be, Broadway World covers the recent launch of immersive experience The Path Of Beatrice, developing upon the themes of Paradiso: Chapter 1 which launched last year. Investigating further, I get the impression that it’s not a direct sequel so much as a wraparound that can be played before or after the central escape room itself. The ticket price is… not just more in line with that of interactive theatre than that of escape rooms but half an order of magnitude higher again, but perhaps the prospect of a multi-day experience is commensurately ambitious. “Ticket buyers for The Path of Beatrice will embark on a journey comprised of multiple short, location-based episodes that explore the complex backstory of the Virgil Corporation and the mysterious narrative of Paradiso: Chapter 1. Each experience will feature a series of unexpected and suspenseful events and missions that reference David Fincher’s early masterpiece “The Game” and the cult classic “The Institute.” The experience will unfold with the exchange of packages, virtual correspondences, and interactions with performers and other players delivering clues in unlikely, site-specific locations around the city.” There are plenty of reviews of Paradiso: Chapter 1; the one from Room Escape Artist may be the most relevant. 3) I covered DASH 9 fairly extensively, but somehow failed to discover that there was a survey held afterwards about the event. Around 160 teams replied, but reply rates varied heavily from location to location – for instance, most of the Fremont teams replied, but very few of the San Francisco ones did. (And none of the London ones, for that matter.) Broadly highly positive, encouraging stuff, but the nuance is worthwhile. The set-piece big physical puzzle was the most popular in its two appearances; the transparency jigsaw, the cryptic crossword variant and the final AR puzzle were the least popular, though still far from widely panned. It’s not immediately clear whether the puzzle styles were inherently unpopular or just the way they were executed. In other news, there’s convincing evidence that lots of teams had silly names, and quite a few teams had rude names, for some of the glyphs we encountered along the way. 4) Iain, who was lead GC for the excellent DASH 7 in London and who has kindly posted a few articles at this very site, points to a description of how someone staged a pop-up escape game at an adult retreat. There are a few very cute ideas in there which might set your mind in motion if ever you have interest in staging the poppiest-up of amateur pop-ups for your own entertainment. The title of the piece will set the theme, as well as clue you in to where the retreat took place: Escape Room: Lesbian Relationship Edition! 5) Heading from the more artistic to the more competitive, there’s a very interesting-looking attempt at a Polish Escape Game Championship taking place now. Teams must be made up of members of the lockme.pl industry-wide site (bookings facility, news site and social network of sorts) and start by an online qualifier of a NotPron-style decode-the-images-into-passwords puzzle trail. In each of five regions, 12 teams will make it from the online qualifier to a live regional final, and the best two of those twelve will go forward to a national grand final. The national final will be played by those ten teams at the WroEscape conference at the end of October in Wrocław. What an exciting initiative! 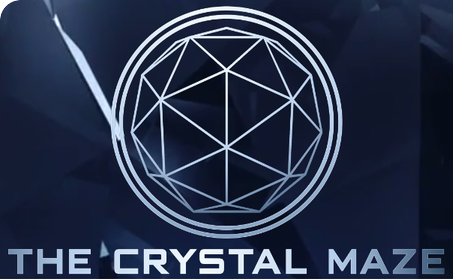 6) The Crystal Maze will return to Channel 4 on Friday 23rd June and they’re starting with another Stand Up 2 Cancer celebrity special; TellyMix reveals the line-up of five, and the official trailer looks pleasingly authentic. (It has been suggested that there will be 41 different games played over the 20 episodes, which is respectably varied.) As ever, the maze itself is the star, and I’ll be looking forward to seeing the games. Less seriously, NewsBiscuit wraps up the last piece of outstanding business from the original series decades ago. A highly-regarded and reasonably well-known UK escape room posted today that Jonathan Ross, Jane Goldman and at least some of their family came and played at their site, and apparently did rather well! It’s not the first site at which they are known to have played, and I have a suspicion that it’s not their second site either – they’re famously a family of gamers of many different styles. Accordingly, it’s very tempting to imagine that they’re begging – begging – their agents to get to play one of the celebrity episodes of The Crystal Maze. (It’s possible that Ross has a TV deal which restricts him to ITV which might rule it out, but he’s certainly done comedy for Stand Up 2 Cancer on the channel in the past.) They’re certainly more famous than most of the members of the celebrity team listed above! 7) Finally, Escape The Review have recently committed a truly heroic piece of blogging: a guide to escape rooms in Europe. “Europe has a thriving, complex escape scene, and the games I’ve played myself around various European cities are only a tiny fraction of the games available. So the information here is based on recommendations from other enthusiasts, reviewers and owners, in many cases taken from the Escape Room Enthusiasts group on Facebook, plus links to relevant review and directory sites. Where an area is well covered by local blogs and directory sites, I’ve linked straight through to those; where suggestions come from other sources I’ve attempted to combine them into a brief summary.” At the very least, it’s an amazing starting-point for more specific investigations. What a spectacular piece of work! 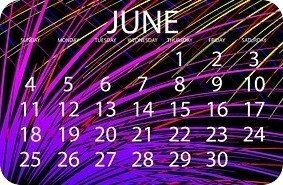 I hope your June goes with a bang, much like the background of this photo! This weekend (i.e., you have until, I believe, 11pm UK time tonight to finish) sees the latest round of the WPF’s Sudoku Grand Prix contest, this one written by Serbian authors. The Sudoku Grand Prix rounds consist of a single 90-minute paper, where all the puzzles are sudoku and sudoku variants; take a look at the Instruction Booklet to see precisely what will be required. If that’s your thing, next weekend kicks it up a notch. The World Puzzle and Sudoku Championships take place this year in India between Sunday 15th and Sunday 22nd October. More specifically, it’s happening near Bangalore (sometimes said to be the Silicon Valley of India!) at a resort called Clarks Exotica. The UK will have a team, as usual, and there is at least one space on it available for the winner of (or top person not already qualified from) the UK Sudoku Championship, which will be a two-hour paper that happens at a point of your choice between Friday 9th June and Monday 12th June. The weekend after that, it’s the fifth round of the WPF’s Puzzle Grand Prix, this time set by authors from the Czech Republic; usual format, three parallel one-hour papers, and I’ve really been digging the “C” section papers. However, that’s not all; the US Puzzle Championship also takes place that weekend – and this is one where you don’t have the latitude to schedule it yourself, for it’s a two-and-a-half hour paper starting strictly at 6pm UK time. 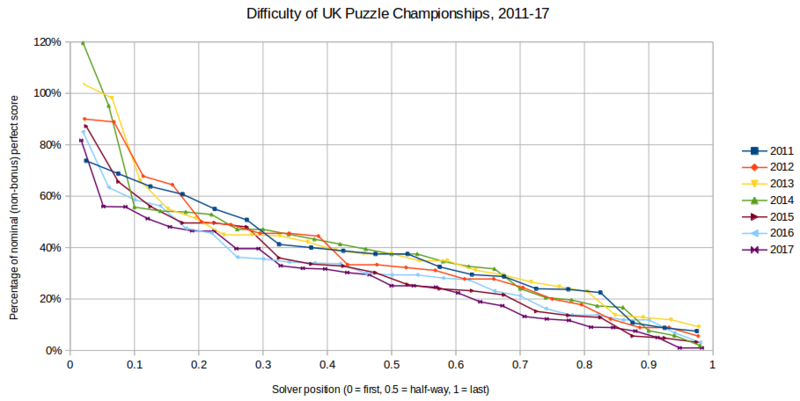 Historically the puzzles here have been around World Championship level of difficulty; anyone who solves (at least almost) all the paper in the time limit is a genuine world championship contender, and anyone who scores 50% would be likely to be reasonably competitive in the world championship. Take a look for the instructions a little closer to the time. One weekend later still, the weekend of Friday 23rd June to Monday 25th June, is the UK Puzzle Championship. Hooray! As much as DASH is my in-person competition highlight of the year, this is my online competition highlight of the year; it’s genuinely accessible but still sufficiently discriminatory at the top end to be useful in picking a representative for the puzzle team at the world championships, as discussed above. More about this closer to the time, surely. Incidentally, while we’re talking about the world championships, a tip of the hat to the Indian organisers for having the bravery to run an event without play-offs this year. Play-offs are fun, especially for spectators, but for a championship it feels much more appropriate to decide the champion in the style of a decathlon than in the style of Gladiators. The weekend after that will be four weeks since the previous Sudoku Grand Prix round, so another one will tick around again, and so on the cycle goes. This will get a little circular, but it’ll make sense in the end. You go to an escape room facility to play an escape room, right? However, you can play board games that aim to bring the thrill of the escape room experience – and, being a board game, you can play it in a great many places. Board game cafes let you play board games that you don’t own. So you could go to a board game cafe, instead of an escape room, to play an escape room in a box rather than to play an escape room! Why would you? Well, the best escape room board games are at least as good as many escape rooms (see Real Escape Artist, The Logic Escapes Me and others…) and the price is very attractive – something like a third the price of a traditional escape room. It also has some appeal through novelty alone. Ludorati is a board game cafe in Nottingham. It has a small private room called The Cube, for games played quietly away from the rest of the cafe. They offer Escape The Cube as one of the things that can happen there. “Welcome to Ludorati Café’s ‘Escape The Cube’ series of exciting live action team challenges, which takes the traditional Escape Room tasks into a different realm. We currently have over 100 innovative scenarios in design and the first six are now available to play.” Looking at the catalogue, you might recognise some of the games on offer, with slightly different names, as well-known escape room board games. I look forward to seeing what the other “over 100” minus 6 turn out to be in the fullness of time, and quite where they fall on the axis between escape room and escape room board game. Even if there’s nothing added to an escape room board game, the ability to do it in an environment well-suited to placing an emphasis on the hour time limit nature of the game might be particularly appropriate; you might be able to win an escape game board game, but could you do it… in the Cube? I tend to think that escape room board games and board game cafes are a smart and natural sort of match. There’s always something of an argument about the value proposition of an escape room board game in that (barring exceptions) it can be expected to lose its capacity to surprise once you’ve seen all it has to offer, and thus can only really be played once per group. Accordingly, the chance to get to play such a game without having to buy it would appeal, and that is exactly the sort of game you might want to play at a board game cafe. Conversely, one might imagine that few copies of an escape room board game would get played more than ones situated at just such a cafe. In discussion, the issue of replayability of these games has been raised; several designs are only intended to be played once to the point where you are invited to alter the physical components as part of the play. I’m not quite sure how a board game cafe would cope with that, but it may just be a consequence of selecting the right games to offer. It’s not as if there aren’t many to choose from! Clever plan, Ludorati. I look forward to seeing where you’re going with this one, and if others follow suit.